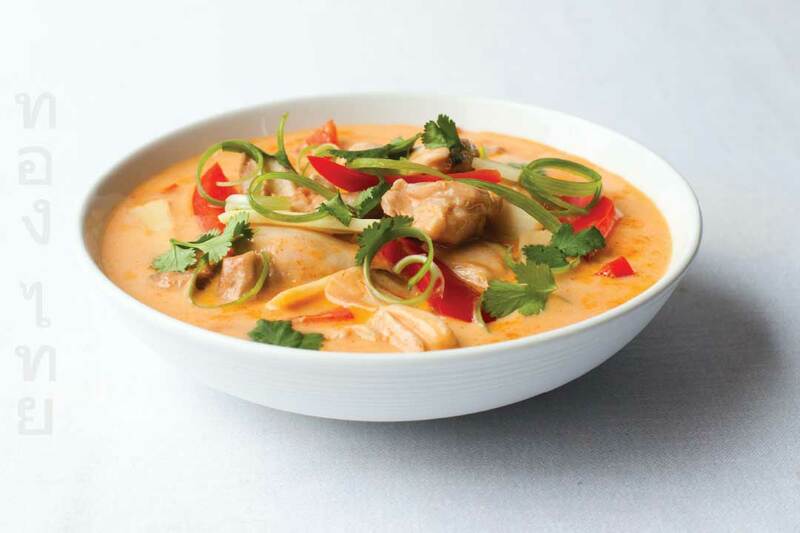 Thai Red Curry, 'Gaeng Daeng' is one of the most popular of all Thai curries, truly delicious with any meat or fish . Add 2 tsp of Thai Gold Red Curry Paste and stir, combining the paste with the milk. Add the finely sliced chicken and cook for 5 minutes. Add 2 tsp of Thai Gold Nam Plaa (Fish Sauce), the chicken stock and 2 tsp of Palm Sugar. Cook for 10 minutes. Next add the vegetables and cook for a further 2 minutes. Hot & Spicy: Add chopped chillies to increase hotness, birds eye are the best. Extra Flavour: Add some Thai Gold Kaffir Lime Leaves. Serving: Serve with Thai Gold Jasmine Rice. You'll need: Medium-big size saucepan.